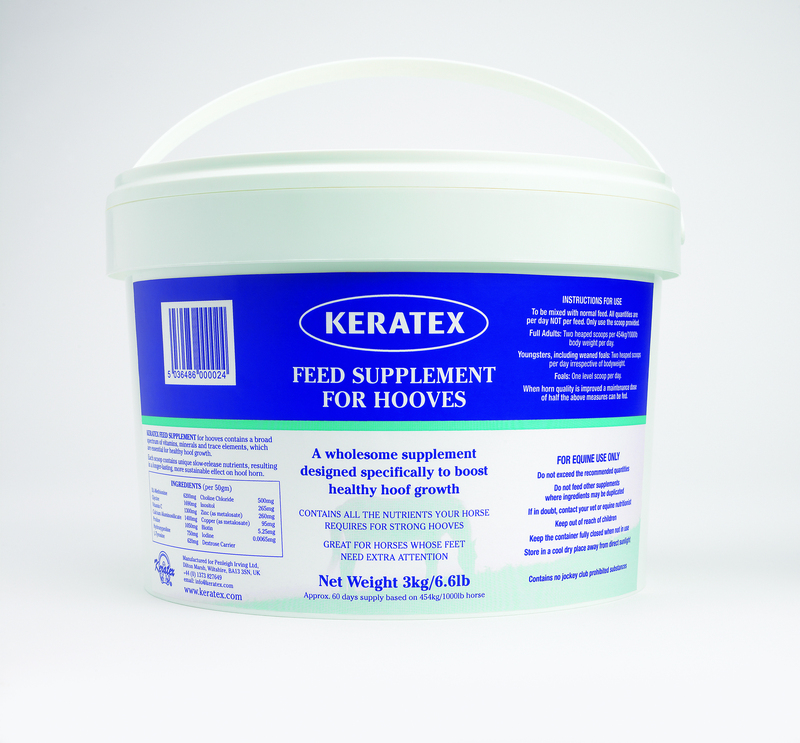 Palatable and comprehensive, Keratex Feed Supplement for Hooves contains all the key vitamins, minerals and trace elements for excellent hoof growth, repair and maintenance. Enhanced with Zinc, Methionine, Biotin and Copper, this superb all-in-one supplement provides total nutritional peace of mind everyday. Can be used as a daily feed supplement. There are currently no questions for Keratex Feed Supplement For Hooves for Horses - be the first to ask one!